Harry Palmer has been a lifelong educator, beginning as a high school teacher in 1969. 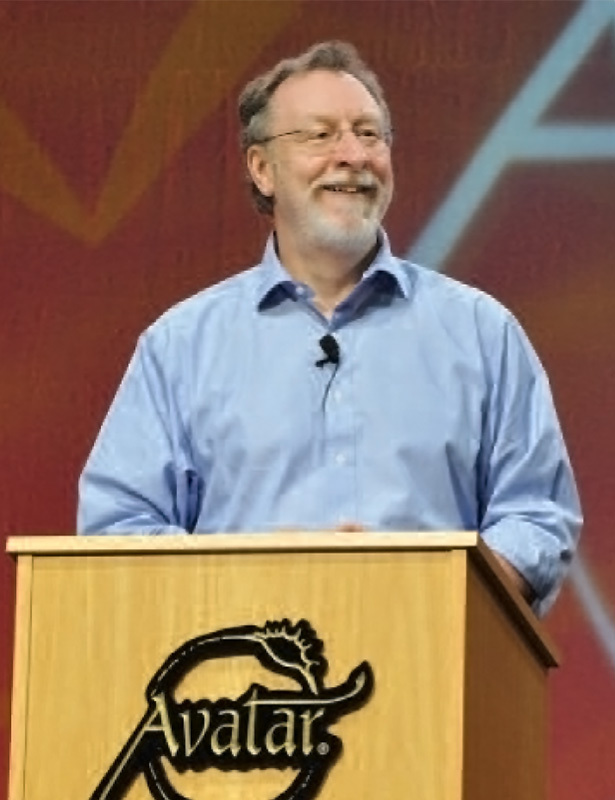 His passion for helping people understand how to improve their lives led to the creation of the Avatar® materials in 1987. Over 100,000 people have completed the Avatar Course, learning how to live more deliberately in the process. Harry Palmer graduated with a Bachelor of Art in English from Ithaca College in 1969, earned a Masters in Science of Education from Elmira College in 1971. He was certified to teach English in secondary schools and did so from 1969 to 1972. Harry is a prolific author, publishing numerous articles, books and videos. His articles are available online at theavatarjournal.com. He published a series of 26 articles available both online and through email subscription at theavatartimes.com. He also published a series of courses entitled The Avatar Materials. These training materials have been translated into 21 languages and are taught in 71 countries around the world. Sign up for 26 issues of the Avatar Times, an inspirational free weekly e-newsletter. Avatar®, ReSurfacing®, Love Precious Humanity®, Enlightened Planetary Civilization® and Star’s Edge International® are registered trademarks of Star’s Edge, Inc. All rights reserved. free Info Hour via Skype, phone or in-person.